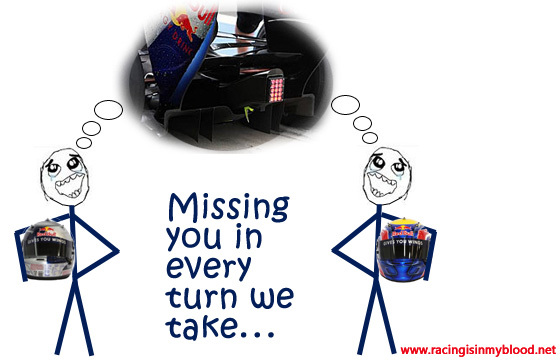 This meme came from the lack of pace that the Red Bull team is showing in Monza this weekend. Red Bull had two year with a notable advantage over the other teams but now that the blown diffuser system is banned the team have had difficulties to find pace during the weekends. For those of you who doesn’t know what a blown diffuser is, or what it does, view this article to learn more.